Chelsea defender acknowledges poor period but also offers a sense of realism. 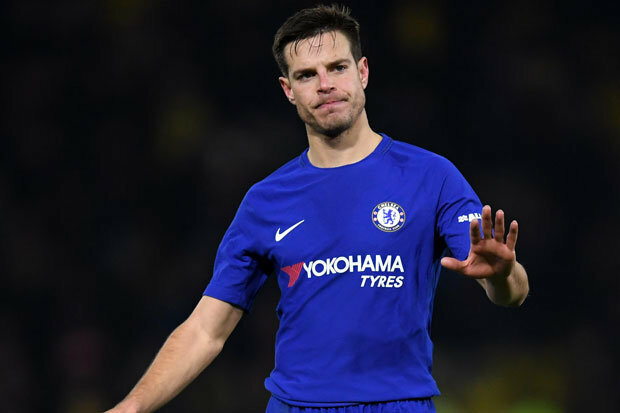 With the media and press almost messing themselves now with all the hype surrounding the Chelsea decline in the last ten games it’s about time that we heard a season of realism from an established Chelsea player and someone who has now become a part of our established core – Cesar Azpilicueta. The rumour mill has moved into overdrive since the final whistle blew at Vicarage Road on Monday night and our 1-4 defeat to Watford. Featured heavily through content on the TV, in the papers we read and over the Internet, many of us have expected the club to react as quickly as possible to try and halt our run of bad form. That never happened (more on that later) and the players have been given three days off to rest and to go again ahead of our next game against West Brom on Monday at Stamford Bridge. “We are here altogether. We are all disappointed with the results. We know there is speculation here all the time – it has been that way in the six years I have been here. Are the players letting the coach down? No, I think if you see the training sessions, you will see we all fight hard. We are the first to be disappointed with the way the last two games went. We are getting penalised in the bad moments we are having. Two games is not a long period, but in this league, which is so tough, you get punished as soon as you drop a bit. As a player, all I want is to come back to the training pitch as soon as possible, work hard, get into Monday’s game against West Brom and take the three points to get our confidence back. We have to understand the speculation is part of our job. When we win and score goals, people think you are doing amazing and you get all the praise. When that happens, you have to be calm and realistic. It’s the same during this time – we have to analyse ourselves. We know we can do better and we can improve. But we have it in our hands to get back into it. We are Chelsea, we are a big club, and even when we lose one game, it is a tough time for us. To lose two in a row is even worse, but I know this team will fight. It’s important to try to look at the bigger picture here as Chelsea fans. Our target in the Premier League was and always has been the top four as a minimum this season. If we could also challenge for the title that would be an added bonus but with Manchester City playing the way they have been that isn’t going to happen. We have as much of a chance as any to challenge for the FA Cup again this season and have a favourable draw in the next round. In the Champions League it’s going to be a big ask against Barcelona but it’s clear that they are not the team they used to be and if our big players can raise their game and put in a performance in both ties we have more than a chance. Chelsea have been on a dismal run of late with only two victories within our last ten games in all competitions (two of those being the two draws with Norwich in the Cup) and it’s important that the players re-group with the head coach on Friday and work harder than ever to get back to winning ways starting on Monday night. 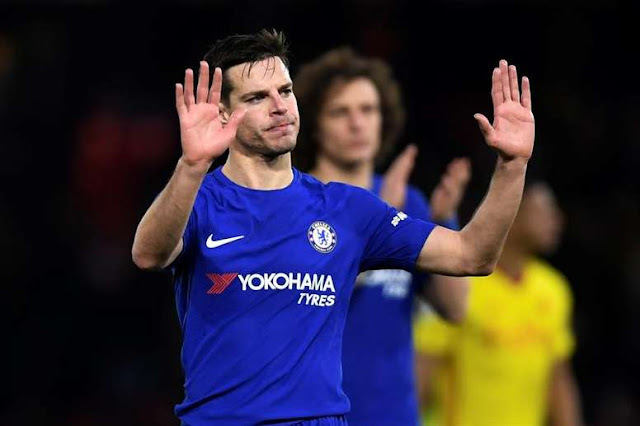 If Cesar Azpilicueta has his say, that’s exactly what they intend to do.